Matt has been a stand-up comedian since the tail end of 2001, has performed in over 20 countries, and has been seen on such television shows as Late Night with Jimmy Fallon, The Late Late Show with Craig Ferguson, The Nerdist on BBC America and Last Comic Standing, where he was a Season 5 finalist. With his British accent and his "maths" degree from Cambridge University, Matt Kirshen lends some much-needed gravitas to the proceedings. This gravitas is unearned. In addition to performing standup comedy for the last ten years and producing and briefly acting in the feature Jason Nash Is Married, Andy is a co-founder and producer of Portland’s Bridgetown Comedy Festival and one of the guys behind the LA Podcast Festival. Andy majored in electrical engineering at Cornell, and has done next to nothing with that degree since his last "real" job ended back in ‘05. Probably Science is his attempt to remedy that while also getting to nit-pick plot points from Gravity. 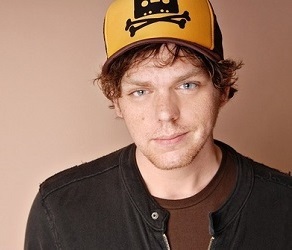 Jesse is a standup comedian and writer from Nashville, Tennessee, who currently resides in Los Angeles, along with Andy and two old men. 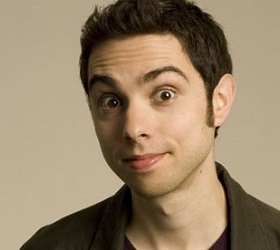 He’s been featured on Last Comic Standing, Parenthood, and various other canceled shows. He was ‘Best of Fest’ at both the Toronto and Montreal Just for Laughs Festivals, and tours nationally between naps. He dropped out of high school and did not attend college, leaving him incredibly intellectually insecure. Having no business co-hosting this podcast, he assumes it’s a convenience thing. He composed the theme song and he’s sorry about that as well. An original co-host of the show and former biomedical engineer, Brooks Wheelan moved on to greener pastures as a cast member on the television program Saturday Night Live. We wish him the best of luck, and hope he'll check back in with us from time to time to share stories about grinding with Miley Cyrus.